With a distinguished reputation and exceptional track record of providing first-class roofing works to commercial and domestic clients throughout Cheltenham, we are one of the most trusted companies offering roof services in the area. Founded in 1986, we boast an enviable combination of both experience and expertise, and we pride ourselves on the quality of our workmanship, something backed up by our recent ‘Excellent’ grading provided by The Lead Contractors’ Association. We can offer a wide range of roofing services, such as repair and maintenance, roof tiling and natural slating and lead work, all of which are completed using the very best materials to ensure long-lasting results. Contact us today for a FREE quote. All of our roofing contractors have been rigorously trained to the highest of standards, while they are all kept up-to-date with the latest legislation and industry standards. We take our customer service incredibly seriously, and as such we are dedicated to providing you with an unrivalled service to leave you completely satisfied with your roofing. We can even provide services for historical buildings, offering a service that provides that extra level of care and attention to detail that those projects require. If you’d like to find out more information regarding what we can offer, including what makes us the roofing contractors of choice for so many clients throughout Cheltenham, give us a call or complete our online contact form. We offer an extensive roof tiling service throughout the Cheltenham area to all commercial and domestic clients. You can choose from our wide variety of tiles shapes and sizes and from our two natural materials, clay and slate, or concrete tiles for a more economical solution. We work with all budgets. Our expert team can work with both new and reclaimed tiles which have previously been used and is the perfect alternative for smaller budgets. Cheltenham is a large town in Gloucestershire, home to The Gold Cup, held annually at Cheltenham Racecourse and also the renowned Cheltenham Festival. 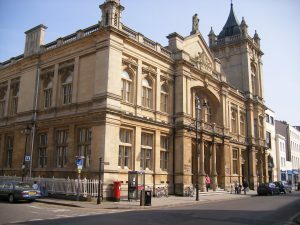 Fine art can be found at The Wilson museum and art gallery full of Cheltenham’s history and holding the Emery Walker Library. Cheltenham is easily accessible from the M5 and lies just over an hour away from Bristol and Birmingham and under two hours away from London making Cheltenham easily accessible for our expert roofing contractors.